Welcome! We are a group of citizens of the great state of Alabama lobbying for our state public education establishment to allow homeschooled students equal access to sports and extracurricular activities. Legislation which would provide this access has been introduced into the Alabama Legislature. Our bill derives it's name from Tim Tebow (with his family's permission). Tim has attained the highest level of success of any football player in history at this point in his career. He was a homeschooled student who played football for a public high school team in Florida, led Neese High School to the 2005 state championship and played in 2006 as a true freshman on the National Championship Florida Gators team. 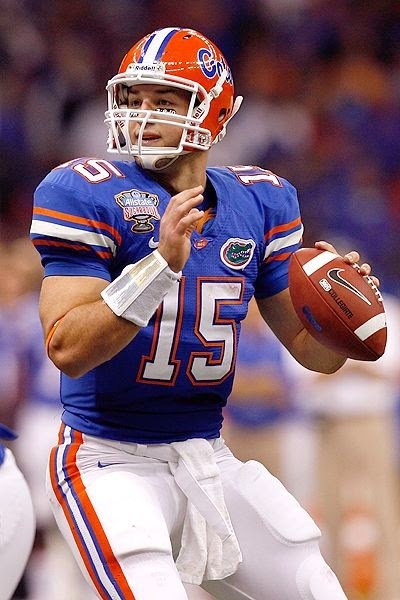 As the Gators' starting quarterback in 2007, Tim lead his team to a very successful season. For his performance and character, Tim, in addition to the Heisman Trophy, also earned the Maxwell Award as the nation's top football player, the Davey O'Brien Award as the nation's best quarterback, and the James E. Sullivan Award as the nation's most outstanding amateur athlete in any sport.